We've seen the new hatchback (pictured above), and we've seen the Type R (in prototype form, anyway), but Honda will reveal its last piece of the Civic portfolio at the Los Angeles Auto Show next month. Yes, the new Civic Si will make its public debut, alongside over 50 other new vehicle introductions. This news comes courtesy of the Los Angeles Auto Show itself, though sadly, we don't know much else about the Civic Si just yet. 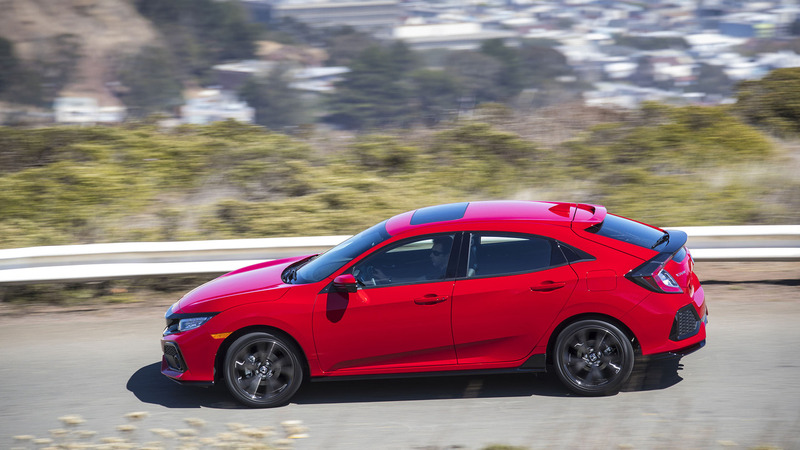 We expect it to be based on the hatchback model pictured above, but keep in mind that, in previous generations, Honda offered the Si in both coupe and sedan forms, so we won't rule out the possibility of another Civic variant getting Si power. 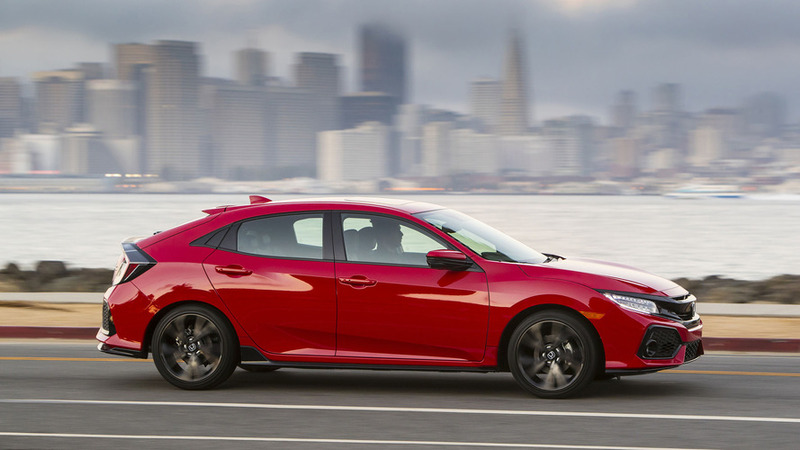 It's safe to assume the Si will use a more powerful version of the Civic's 1.5-liter turbocharged four-cylinder engine. In the standard Civic, this powerplant is rated at 174 horsepower and 162 pound-feet of torque, and that same engine is tuned to produce 190 hp and 179 lb-ft in the 2017 CR-V. Of course, we expect a bit more oomph than that for the Civic Si – our best guess is around 220 hp – which doesn't seem too difficult to achieve. Even beyond the Civic Si, the LA Auto Show will have a lot to offer. We already know Alfa Romeo will show its new Stelvio crossover, and we’ll finally see the new Jeep Compass. Plus, a number of vehicles will make their official North American debuts, including the new Land Rover Discovery, Mercedes-AMG GT Roadster, AMG GT R, G550 4x4², Porsche Panamera, Smart ForTwo Electric Drive Cabriolet, and let's not forget, the special Star Wars-themed Nissan Rogue. We'll have the official Civic Si details – as well as much, much more – live from LA next month. You can find out more information about the Los Angeles Auto Show below, in the official press announcement. LOS ANGELES (October 13, 2016) – AutoMobility LA™, a merger of LA Auto Show’s Press & Trade Days and Connected Car Expo®, announced today that several auto-tech products and services, including more than 50 vehicles, will make their debut in front of media and industry professionals from November 14-17, 2016, at the Los Angeles Convention Center. Among the many global unveilings by top auto manufacturers will be Alfa Romeo’s all-new SUV and Jeep’s all-new compact SUV to compete in the growing compact crossover segment. Porsche will be presenting more than one global and several North American debuts, including the new Panamera, while Nissan will take the sheets off three, including the 2017 Nissan Rogue: Rogue One Star Wars Limited Edition. Other confirmed debuts include the turbocharged Civic Si from Honda, the new fifth-generation Land Rover Discovery and the pocket-size smart ForTwo Electric Drive cabriolet. Mercedes-Benz will show three models for the first time in the U.S., including the AMG GT Roadster, G550 4x4 Squared and the track-ready AMG GT R.
An epicenter for advanced automotive design, Los Angeles will become a stage for several concept car unveilings. In a global debut, Acura will preview its future interior design, human-machine interface and technology direction, striving to achieve a seamless connection between man and machine. Infiniti will feature its new SUV vision, the QX Sport Inspiration, while Subaru’s global concept reveal will uncover a new line of vehicles for the brand. In addition to production and concept vehicles, both luxury and economy marques plan on bringing more hybrid, electric and alt-fuel models to their displays. A diverse mix of established automakers, tech companies and disruptors including BMW ReachNow, Hyundai, Ridecell and whiteCryption, are planning to unveil innovations and advancements around artificial intelligence, automation, car sharing, security and more inside the show’s all-new Technology Pavilion (located on the Los Angeles Convention Center campus). Here, AutoMobility LA will also host its award-winning conference, where industry experts will discuss the hottest topics surrounding the future of transportation. More than 50 luminaries, including the CEOs of Ford, Intel, Local Motors and Next EV will make announcements and offer insights from the Roadshow by CNET stage. Following AutoMobility LA, all of this year’s vehicle debuts will be on display at the 2016 LA Auto Show (open to the public November 18-27). All attendees will be able to witness this year’s vehicle debuts and have access to exhibits across the venue. To register for AutoMobility LA, please visit: http://automobilityla.com.